If you are thinking of selling your home I encourage you to contact me. 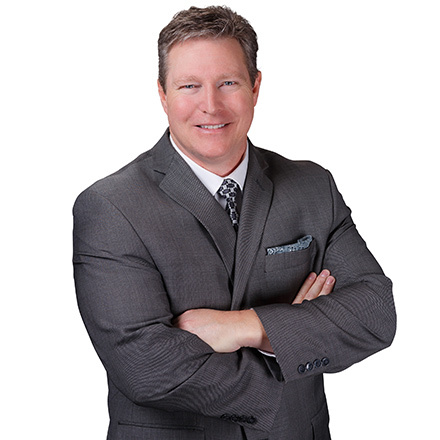 I have been practicing real estate in Calgary and its peripheral communities for more than two decades, and know how to help you achieve your goals and objectives. I will help you to understand your property’s value by preparing a comprehensive market evaluation and, if you decide to list, will implement a marketing strategy that is designed to ensure that you get top-dollar for your home. A typical marketing platform includes professional-grade photos, information brochures, full MLS and showing coordination services, broad-range internet exposure, agent networking, signage, showing analytics, open houses and more. However we can also customize a marketing plan tailor-made to suit your needs. Once an offer comes in, I will help negotiate the best possible price and terms for your property obtainable. I can also help connect you with other skilled professionals – like lawyers, mortgage specialists, land surveyors and trades people – who are able to provide valuable support to ensure that your sale closes on time and according to the terms of your offer. My online marketing system allows me to make information accessible 24-hours a day, and to respond immediately and directly to each and every prospective buyer. From my website, prospective buyers can get information immediately about your home. They can access my site 24 hours a day and view your property listing! Through my Personal Home Search, your listing will be sent by e-mail to every prospective buyer in my database, where your home meets their criteria. Plus it will be e-mailed automatically to future prospective buyers. The luxury home and country residential estate market is characteristically home to an elite clientele. Buyers looking for luxury real estate often display a sophisticated knowledge of the market and often have an equally discerning taste. Degrees of customization, architectural sophistication, proximity, amenities and even the heritage or pedigree of a particular property are all factors upon which they can key and therefore can bear heavily on your home’s value. I have been representing buyers and sellers in the luxury market since the inception of my practice and can help provide you with valuable insight into this unique and often unpredictable segment of the market. If you own a luxury home or country residential estate and are thinking of selling I encourage you to contact me for a confidential, no-nonsense consultation about how you can best achieve your goals and objectives. By far and away the majority of real estate that is bought and sold is traded under a million dollars, and a diverse array of properties comprises this segment of the market. These can include residential detached homes, several kinds of condominiums and strata properties, town homes, duplexes and semi-attached dwellings, revenue properties, mobile homes and, for those thinking of building, raw land or residential lots. The extraordinary diversity of properties that exist in this segment of the market requires a Realtor with experience in all of them, and my more than 20 years of practice can help you navigate the complexities that accompany selling each of these kinds of properties. Some sales can require you to charge GST, others are GST exempt, some can impose restrictions on you as an owner and still others can require you to make warranties and representations to any buyer that you will need to be aware of. Feel free to contact me to discuss the intiricacies that may accompany the sale of your home and for a dispassionate, accurate assessment of your value. For more than a decade I have had the privilege of representing major banks and serving as an officer of the Court of Queen’s Bench of Alberta in the marketing and sale of foreclosures and Judicially ordered sales. If you’re an executive of a retail credit department for a financial institution, a lawyer for a financial institution or a bankruptcy trustee, I encourage you to contact me. I am well acquainted with the documents and schedules needed to facilitate these kinds of transactions and the labyrinthine processes that can often accompany the marketing and sale of foreclosures and Court Ordered sales. Similarly, if you’re an individual facing a foreclosure action or are in danger of having your property judicially ordered for sale it is imperative that you act quickly. The circumstances that lead to these kinds of actions can be extremely traumatic and can often lull people into complacency or inaction. Do not succumb to this. Virtually every instance of foreclosure I have encountered has been involuntary, but there are often things you can still do. The key is to maintain as much control over your circumstances as possible. Call me for a confidential, no-nonsense consultation that can give you the help and direction you need. I also offer several complimentary and paid consulting services for individuals, professionals and large institutions. You can find a list of these in the "Consulting Services" tab above. For any service I can provide, please feel free to fill out the contact request form below or call my office. I will reply to your request the moment I am free.